Women’s Wellness: Creating the ideal exercise experience! These are some of the motivations that women and girls speak about when offered the opportunity for women-only sporting activities. There are many other reasons that individuals (whether identifying as male, female or otherwise) gravitate towards gender-specific activities. Despite the arguments for inclusiveness in sport, there are many women and girls who are reluctant to participate unless women-only events and activities are on offer. There is growing concern for obesity and other conditions related to sedentary behaviour including chronic illness and poor mental health. Apart from the obvious burden on the nation’s economy, the real burden of poor health is lived out and carried everyday by individuals, families and communities. As a community, I believe we need to creatively explore the possibilities when it comes to getting people active, and not expect individuals to slot into the pre-existing boxes for engaging with physical activities. Our society has been predominantly constructed and written by the male voice. Our medical research is skewed towards what works best on male subjects. And likewise, our sporting establishments have traditionally been set up by and for men. For women, there has long been the pressure to fit in with these establishments, or make minor modifications to better meet their identified need. 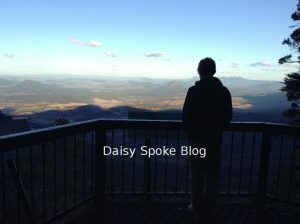 Rural and regional Australia has poorer health outcomes than its urban counterparts, so I’m really keen to make a constructive contribution to the health and wellbeing of my community on the southern Darling Downs, and to encourage women and girls to creatively construct systems and routines so they can enjoy being more active. What works for you when it comes to getting active and staying active? What is your ideal way to increase your physical activity and reduce your sedentary behaviour? What would motivate you to stay committed to your health and wellness through exercise and physical activity? 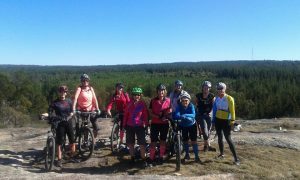 Women in sport is a vital part of the success and growth of any club, and so last Sunday we invited women and girls along for a ‘women-only’ ride at Passchendaele State Forest. We had nine women along for the ride and I can safely say that every one of them was very brave for simply turning up to the fresh and frosty start at only 7 degrees Celsius! This was simply the beginning of our inspiring adventure into the forest. 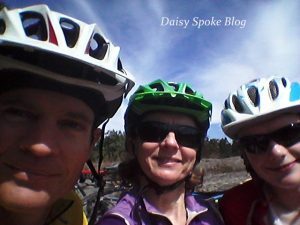 There were a couple of ‘offs’ and a few sore butts by the end of the ride, but so many treasured moments of fun, laughter and togetherness. Bring on the next ride, I say! 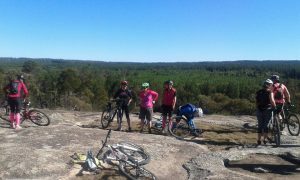 The recently formed Southern Downs Mountain Biking Club is gathering momentum. 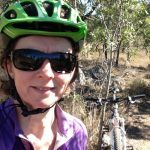 Membership is expanding and the community is supporting its efforts to provide safe and fun riding opportunities in the local area. 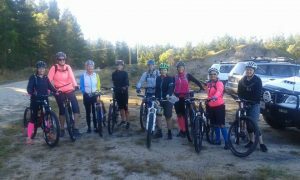 With plans for MTB trails to be built right in the heart of Stanthorpe on Mt Marlay, club members have been regularly gathering for social rides further afield. So stay tuned….. We’re planning lots more rides and activities for everyone – beginners, families, and all abilities. 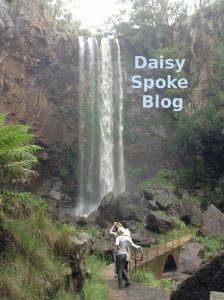 We’ll be exploring various locations across the Darling Downs and everyone is invited to join us.